For the first time since the 1800s, scientists have discovered a huge empty space in the Great Pyramid of Giza. An international team of scientists have just released a new study that suggests that there is a 30-meter-long hidden space in the Great Pyramid of Giza that no one knew about until now. The scientists used modern technology to visualize the pyramid’s insides, and that is when they noticed the mysterious void deep within the limestone and granite walls of the pyramid. The study, published in the journal Nature, could help scientists better understand how the pyramid was constructed thousands of years ago. The pyramid has three rooms we already knew about: the King’s chamber, the Queen’s chamber, and the Grand Gallery passageway. This is the first time a large space has been spotted since the 1800s. Scientists tracked particles that are called muons which are caused by cosmic rays hitting atoms in the upper atmosphere, and they lose energy as they pass through materials. The researchers used detectors to count the number of muons that passed through the pyramid, and that is how they stumbled upon the space. 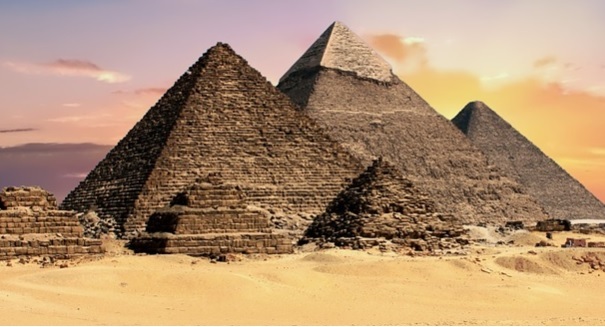 “The Great Pyramid or Khufu’s Pyramid was built on the Giza Plateau (Egypt) during the IVth dynasty by the pharaoh Khufu (Cheops), who reigned from 2509 to 2483 BC1,” the paper’s abstract reads. “Despite being one of the oldest and largest monuments on Earth, there is no consensus about how it was built. To better understand its internal structure, we imaged the pyramid using muons, which are by-products of cosmic rays that are only partially absorbed by stone.